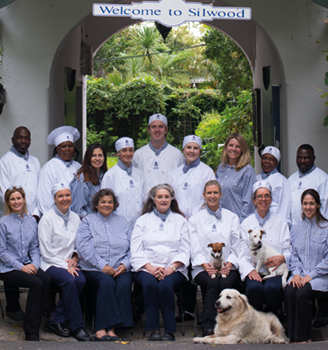 From the whisper of chiffon cakes and a classic crème Anglaise to the more challenging exam dishes of confit duck and chicken terrine, a year in the world of a Silwood student is revealed. True story. A Year at Silwood does indeed take you through the history of South Africa’s oldest cookery school that produces work and chefs of a world class standard. The students are put through their paces, taught in the French classical style to show total respect for food. Ingredients to be kept real and natural and only fresh seasonal fruit and veg to be served. I was struck by the juxtaposition of the technical aspects of some of the dishes, offset by the simple yet elegant presentation. I know. I used the word juxtaposition. What a ponce! My favourite dish in the book, based solely on image to saliva production ratio, is Lesley’s Steak au Poivre. It combines 3 of my favourite things: meat, alcohol and starting small fires. Or as the French call it, flambé! Here is the recipe below. Enjoy! 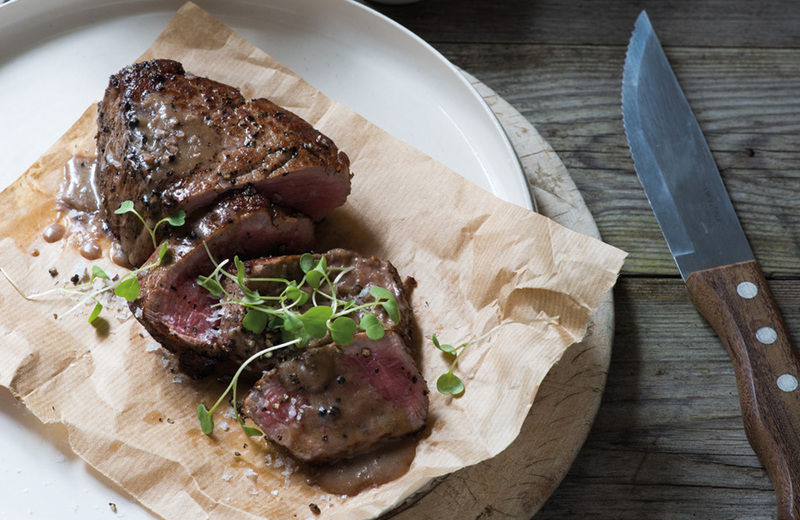 To prepare the steaks, crush the peppercorns in a pestle and mortar or on a wooden board with a rolling pin, setting aside 10ml for the sauce. Dry the steaks then roll in the crushed pepper, pressing it into the surface of the meat. Set aside. To make the sauce, melt the butter, add the sugar and allow to brown lightly. Add the 10ml crushed pepper and brandy, tilt the pan and ignite to flambé. Remove from the heat until the flames have subsided. Add the port or red wine and reduce until almost evaporated. Add the stock and reduce by ¾. Add the cream and reduce again, until thickened. Season and set aside. To cook the steaks, heat a heavy based saucepan or grill pan, until hot. Add a little oil immediately followed by the steaks. Cook over a high heat until well browned then turn, lower the heat and allow to cook to medium rare. Remove from the pan, season with salt and allow to rest for 5 minutes. If using a saucepan, deglaze with the sauce to enhance the flavour. Serve immediately. 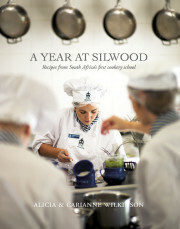 A Year at Silwood is available from all good bookstores. Click here to find out more.